Hey y'all! Today, I am sharing a gorgeous bag from Poverty Flats by Rian's Fall 2016 Collection! The collection is full of edgy yet classic bags, which is my favorite type of bag to carry. There are even a few bags with the perfect touches of metallic color plus some stylish duffle bags. From the collection, I chose and styled the Colorful Shopper Moto Tote in black. I owned a similar black tote when I was back in college and literally carried it until it fell apart. So when I saw this tote in the new collection, I knew it was the one I had to have! 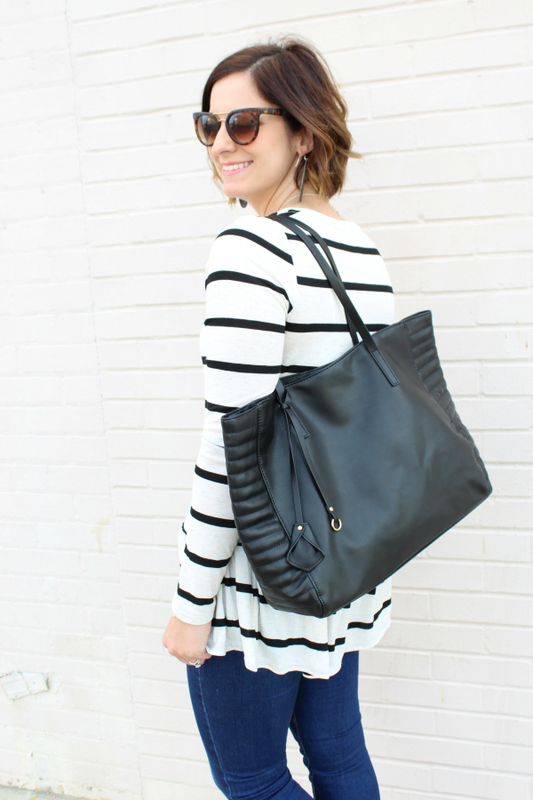 A good black tote is definitely a closet staple because it can go with so much in your wardrobe plus it won't ever go out of style. 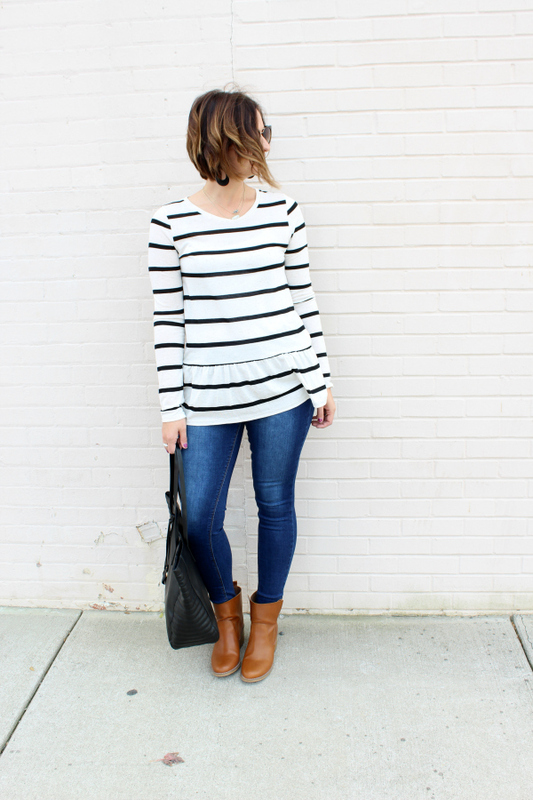 As much as I like keeping up with trends, I also really love timeless pieces. I often think about cost per wear when I am going to purchase a piece. Take the cost and divide by how many times you think you would actually use it. This definitely puts things in perspective for me when I am shopping! 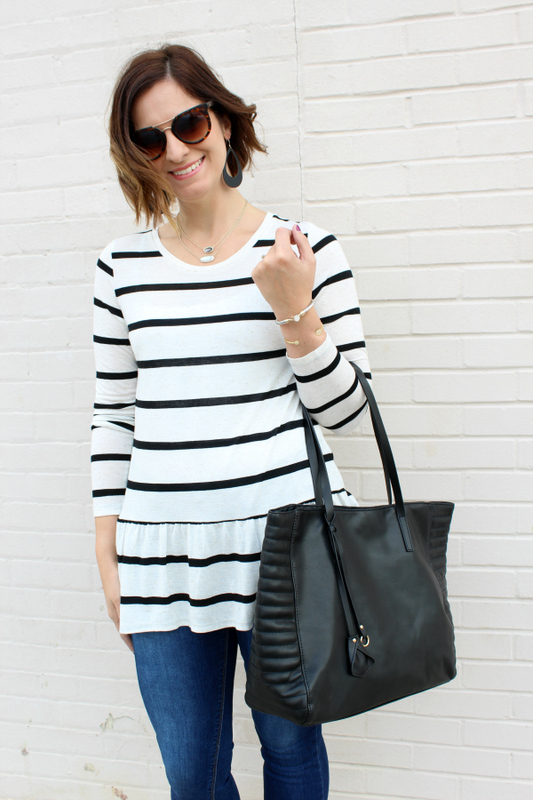 I styled my new vegan leather black tote with skinny jeans, a striped peplum top, delicate jewels, and faux leather boots. I chose this outfit because I love it but I could have carried this bag with almost any outfit! 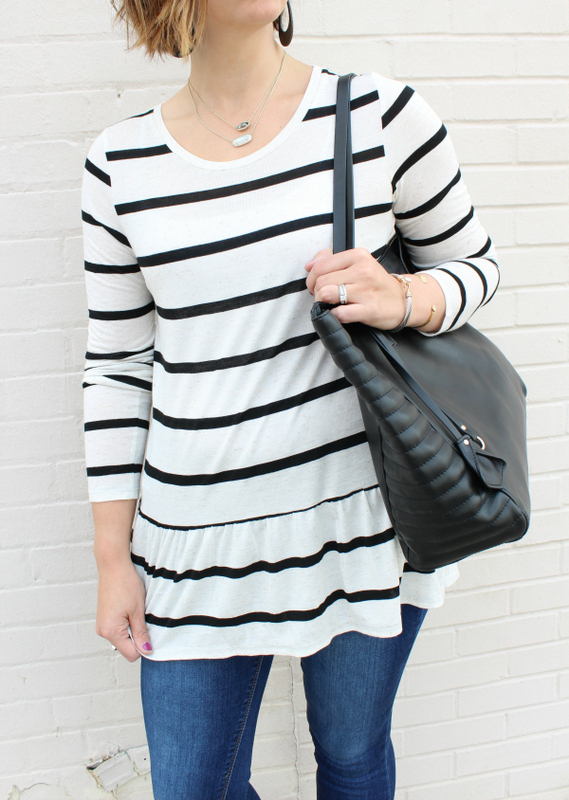 I love how it looks with this top and I also love the contrast of colors between the bag and my boots. 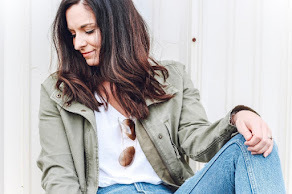 Sorry (not sorry) in advance for how much you'll see this gorgeous bag pop up in my outfits! 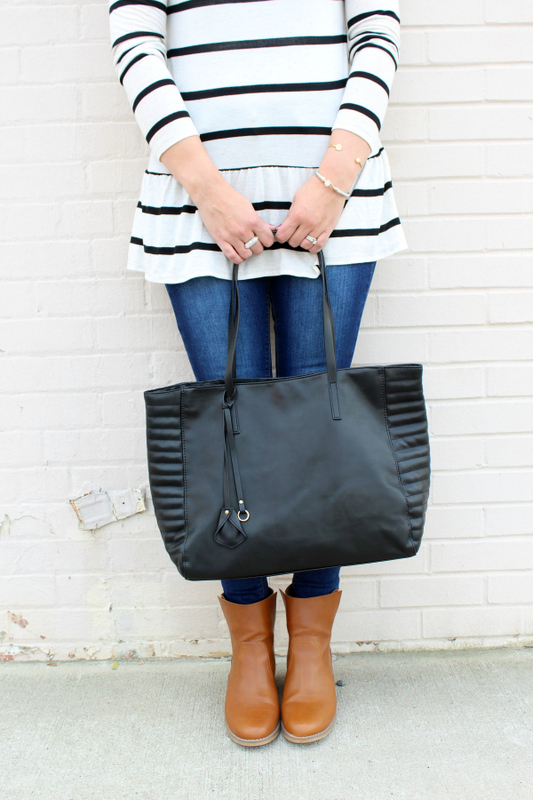 I love a good black tote! 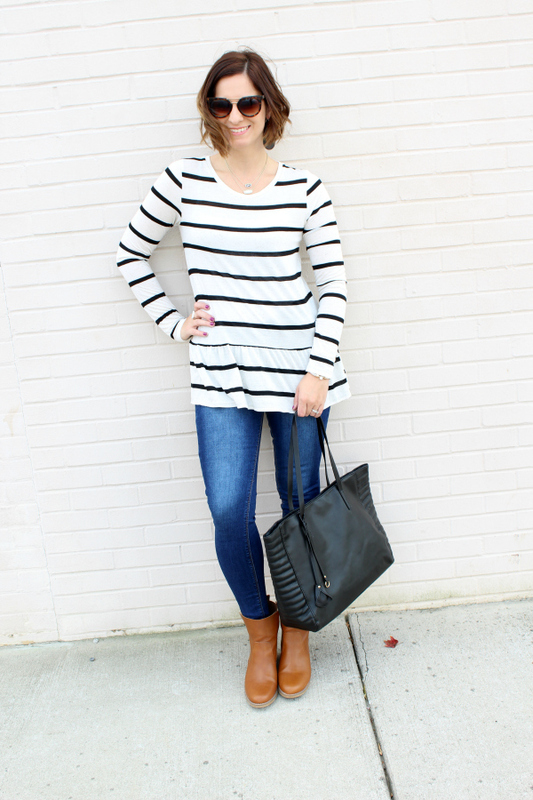 That striped top is so cute too!